It would be nice to think that that new car sitting in your driveway will still be desirable several years down the road. 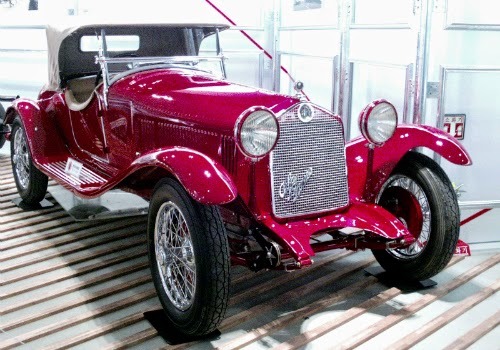 The experts at classic car insurer Hagerty know a thing or two about collectibles and have put together their annual Hagerty Hot List of 2015 cars under $100,000 that could be collectible in the next 25 years. I’m assuming anything with a MSRP OVER $100,00 is automatically collectible. Note that new versions that haven’t appeared on previous lists are more likely to be on this one. So, here are the top 10 cars, with prices, in alphabetical order. Some room for argument, but no real surprises. It’s probably already too late to get the Mazda, as apparently only 100 were slated for the North American market. MINI John Cooper Works Hardtop ($24,950) – New for 2015, the 2 door hardtop John Cooper Works MINI is the most powerful MINI ever produced. The performance specs are impressive, but what will have collectors drooling in the future is the attention paid to the MINI's design concept. So would you buy/have you bought any of these? Or do you have your own candidate for the hot list? I’ll be moving several of these into the virtual garage for sure. Tomorrow is the 63rd annual 12 Hours of Sebring. The endurance race, held in Sebring, Florida, is the second race of the season for the United SportsCar Championship. 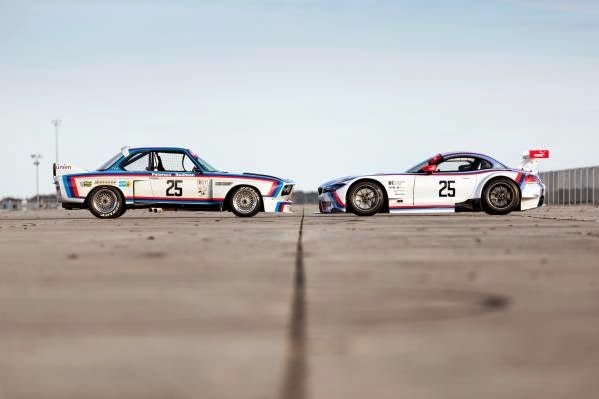 Of course, 63 isn’t a special number, but for BMW, this represents 40 years since its first Sebring victory, back in 1975, with a 3.0 CSL. 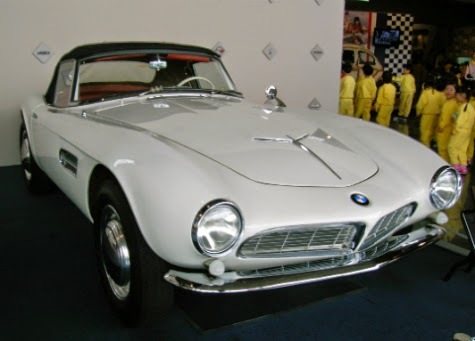 It’s also apparently 40 years since BMW of North America was founded. To celebrate, BMW Team RLL and BMW Motorsport have decked their current team cars (2015 BMW Z4 GTLM) in tribute livery. Car 25 is sporting the winning colours from 1975. Check it out in this head-to-head photo. Wouldn’t you love to have a navigation system and mp3 player for your classic Porsche 911? How about Bluetooth capability? Okay, like me, most of you probably don’t own a classic Porsche, but if I did, I’d definitely be interested. 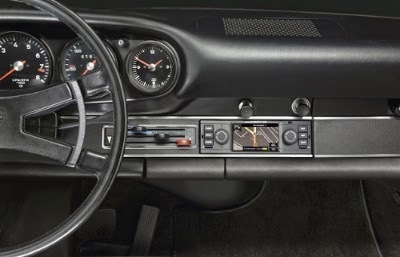 Porsche Classic recently announced that it had produced exactly that, a navigation radio that fits in the DIN-1 slot of the 911 series. It’s designed to look like it belongs, while allowing you to use today’s technology. At the moment it’s only available in Europe (at a cost of 1,184 Euros), but they are currently at work on the North American version. I’d like to see more of this kind of thing from car manufacturers. You can find out more about Porsche Classic parts and accessories on their website. Among other things, they sell specially formulated motor oil, and Porsche hubcaps and crests. Hmm, a Porsche hubcap might look cool in my real garage. The classic Porsche itself (I like the looks of the 914) will only be found in my virtual garage. Acre Wood. Photo courtesy Subaru of America, Inc. Deep in the Ozark Mountains is the 100 Acre Wood. And while you won’t find Pooh and Tigger there, you would have found rally cars and drivers on the 27th and 28th of February. They were there for the second round of the 2015 Rally America Championship. According to the press release, it’s normally a high speed rally over gravel roads. Winter took a hand this year, however, and added snow and ice to the challenge, climaxing with a snow storm late in the rally. Sounds like business as usual around here, except that we also have to contend with potholes and other drivers. And not so much the high speed part. Some of the rally stages actually had to be cancelled, as the emergency vehicles couldn’t reach their designated stations. 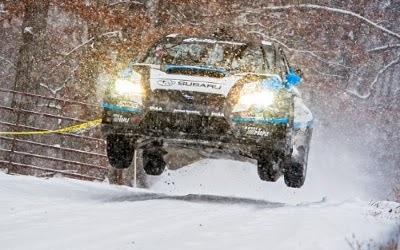 Despite that, David Higgins and Craig Drew drove their 2015 Subaru WRX STI to its second win of the season. Yeah, they’re two for two. Not that this was an easy win. I’ll be including this in the calendar of events once car season resumes, but just thought you vintage racing fans might like to know that the Historic Motor Sports Association will once again be running the Sommet des Legendes at Le Circuit Mont Tremblant. Dates are July 10 through 12. BMW will be the featured marque. If you’re interested in entering, the entry form can be found HERE (scroll down a few pages to find the Mont Tremblant race). Photos of the 2013 race can be found HERE. 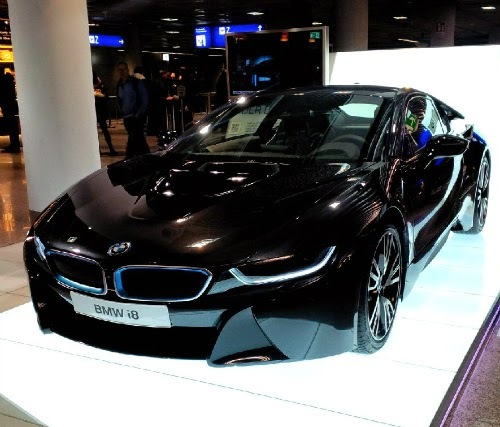 My husband saw this BMW i8 on display in the Frankfurt airport and grabbed a picture for me. In case you don’t already know, the i8 is BMW’s hybrid sports car, using both electricity and gas. Though with a range of only 24 km (according to Wikipedia) in the US models, it doesn’t sound like it spends much time in EV mode. They do claim 2.1 litres/100 km though, so it certainly sounds fuel efficient. And I love the way it looks. You can see it in action in the following video. I'd give it garage space.